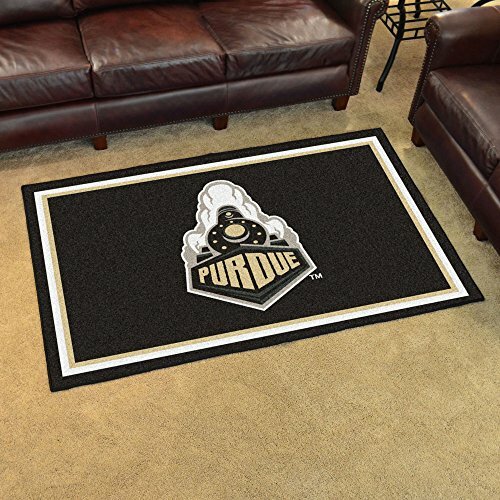 Purdue 'Train' Rug 4x6 46"x72"
Vacuum regularly and spot clean. Chromojet-printed in true team colors. Team Name: Purdue University. Weight: 9.5 lbs. Size: 44"x71"
Duragon latex backing for a durable and longer-lasting product. Non-skid backing to ensure stability. 32 oz., 100% Nylon Face.